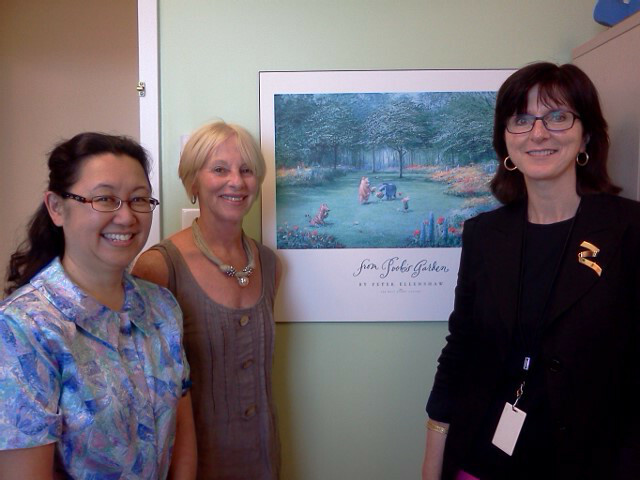 From left to right: Dr. Janet Kawchuk, Dr. Ann Hawkin, and Dr. Sarah Shea of the IWK Health Centre. They are standing with a painting of Winnie the Pooh, which hangs from the wall of Dr. Shea’s office. A few weeks ago, I was in Halifax, Nova Scotia, Canada, at the Developmental Pediatrics Clinic of the Izaak Walton Killam (IWK) Health Centre. I was here for a very special reason: to meet with a few people who, nearly 13 years ago, authored an essay that would later become the most popular scholarly paper to ever hit the Internet*. This paper, written by pediatricians Sarah Shea, Kevin Gordon, Ann Hawkins, Janet Kawchuk, and Donna Smith (a pediatric nurse), was entitled “Pathology in the Hundred Acre Wood: a neurodevelopmental perspective on A.A. Milne” and published in the “Research of the Holiday Kind” section of the Canadian Medical Association Journal (CMAJ, 12 December 2000). Written in humorous yet technically precise prose, the paper provided a tongue-in-cheek look through a medical lens at the familiar, well-loved characters from A. A. Milne’s Winnie the Pooh stories. By delivering psychiatric diagnoses of Pooh (attention deficit hyperactivity disorder and more), Piglet (generalised anxiety disorder), Owl (reading disorder), Rabbit (narcissistic personality disorder), and other characters, Shea et al. inadvertently sparked a massive surge of attention that would persist for more than a decade. Due to its enduring appeal, Shea et al.’s paper was a natural choice for the topic of my first Interactions blog post. Interestingly, the Shea et al. paper has always remained at the top of the attention rankings, even though Altmetric only began collecting data from mid-2011 onwards. 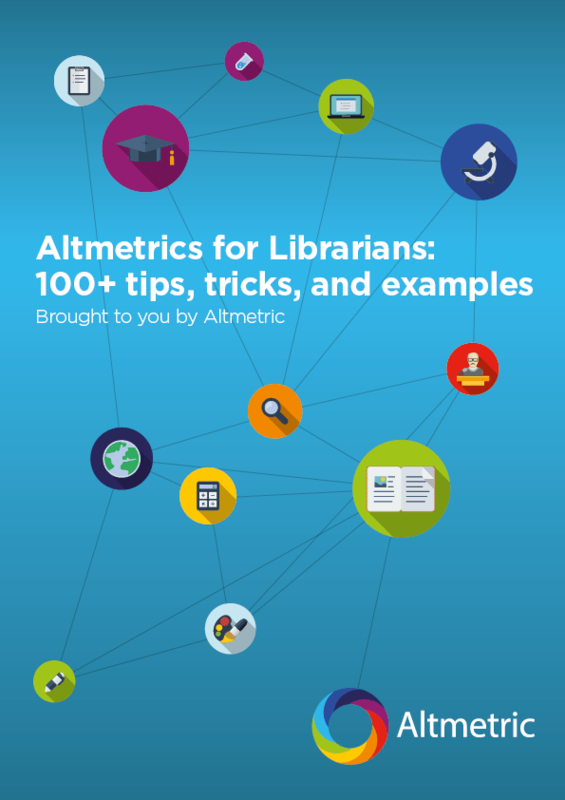 (The paper now has a massive Altmetric score of over 11,000, which greatly exceeds the scores of all other papers in our database.) The Altmetric score is actually only a lower bound estimate of the true amount of attention that the paper has received. Having graduated from the Faculty of Medicine at Dalhousie University (which is situated right across the street from the IWK Health Centre), I realised that that I might have mutual acquaintances with the authors of the Shea et al. paper. I contacted my former supervisor, who put me in touch with Dr. Sarah Shea (the first author of the paper) via e-mail. I reached out to Dr. Shea with attention data: specifically, with the Altmetric details page of her article. She was interested, and kindly agreed to meet with me. 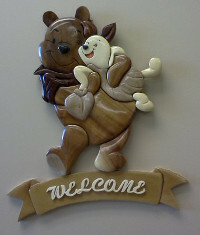 Winnie the Pooh and Piglet welcome visitors from the door of Dr. Shea’s office. I would like to thank Drs. Shea and Kawchuk for this wonderful conversation, and for taking the time out of their busy days to speak with me. * Popular how, you ask? Specifically, it’s the most publicly shared article on the Internet, based on the data we’ve been collecting since mid-2011 (to the date of publication, 8 August 2013). @Shannen_MCFC http://t.co/KryDY6tRIC In short, some people wrote a paper psychiatrically diagnosing all the characters. What is the most famous article ever published?